Matthew Sweeney's twelfth collection My Life as a Painter is published by Bloodaxe in April 2018. It will be launched at events in London and Cork on 21 and 25 April. 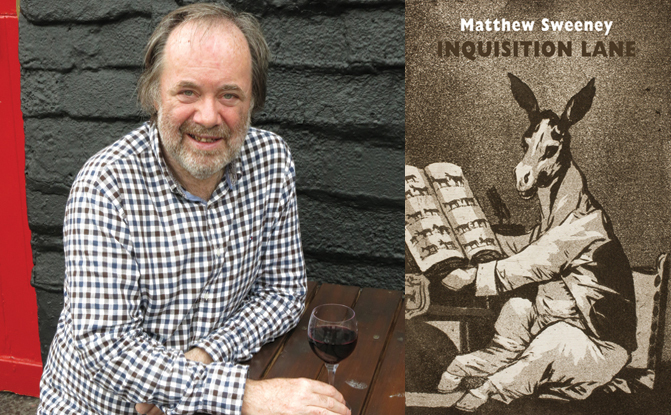 Jo Shapcott, Maurice Riordan and friends will join Matthew to read from his hew book. Details here. A long interview with Matthew Sweeney was included on RTÉ Radio 1's The Poetry Programme on 16 January 16 He was introduced as a poet writing in a darkly metaphorical style he refers to as ‘alternative realism’. Matthew read and talked about his poems ‘The One-eyed Philosopher of Katmandu’, ‘The Sneezer’ and ‘Guns’ (about a trip to post-revolutionary Libya) from his Bloodaxe collection Inquisition Lane.